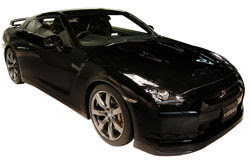 Avis Prestige in the UK has a black Nissan GT-R for rent. For just £ 541.13 a day. Cheaper than most of the Astons, and Bentleys but more expensive than the Porsches, and Benzs. Heres your chance to rent one if you are in the UK.